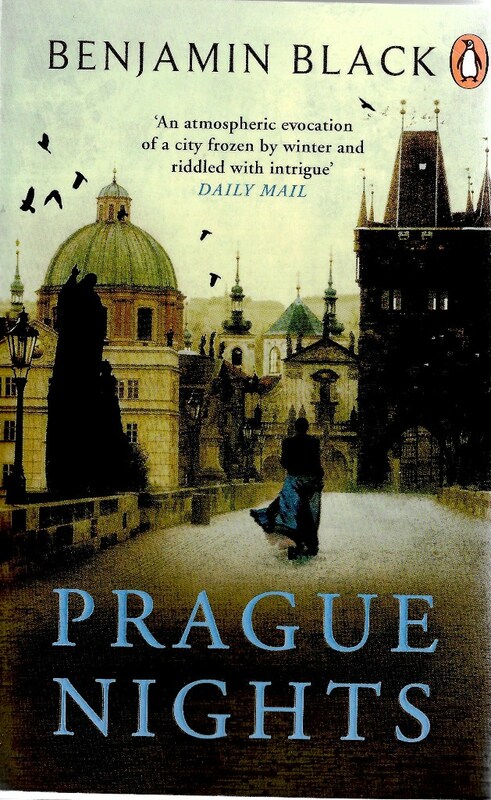 I have just finished reading Benjamin Black’s intriguing historical novel Prague Nights. Benjamin Black is the well-known pen name of award-winning Irish writer John Banville and in this novel, which could be described as crime fiction also, we get a mixture of the lyrical writing of Banville and the more playful writing of Black. The novel begins “Few now recall that it was I who discovered the corpse of Dr Kroll’s misfortunate daughter thrown upon the snow that night in Golden Lane” – a good crime novel starts with a body. Further on we read “Such stars there were! – like a hoard of jewels strewn across a dome of taut black silk” and this is more Banville than Black. I got the impression that Black/Banville was having fun in creating the characters in this novel. Firstly , there is the protagonist Christian Stern, a by turns over-confident and fearful young man who comes to Prague in 1599 and finds a dead body in the street. Stern is fortunate that the emperor Rudolf II, whose dead mistress Stern has found, sees the new arrival as an omen for good and adopts Stern as his protégé. He also demands that Stern finds out how murdered the young woman. Secondly, there is the lascivious seductress Caterina Sardo with whom Stern has a torrid affair. Stern quickly finds out the machinations of Rudolf’s court and discovers that he can trust no-one, including Sardo – a partly comic character. The city of Prague in winter is another character in the novel – this is really a novel with (no spoiler here) more than one murder, rather than a crime novel – and Black gives a detailed account of the abject poverty and lush richness at both ends of the social spectrum. For those hoping for a fast-moving plot, this is not for you. The author’s plot is meandering but gets there in the end. What you remember is not so much whodunit but where it was done, who was involved and what will happen to Christian Stern, who at times has a seemingly precarious existence. Black/Banville is always worth reading for the quality of the prose and the laconic wit. Highly recommended. A recent Food Programme podcast caught my ears to good effect. The topic was seeds and the programme covered a range of different aspects of the grain which humans have used over the millennia for food and drink. The programme begins with an interview with Noel Kingsbury, the author of Hybrid: The History and Science of Plant Breeding who states that today’s “natural” foods which people increasing seek out, are in fact the results of “selective breeding and hybridisation over thousands of years”, although that does not make them less healthy than processed food. Another interviewee notes that legislation has meant that many varieties of seeds are now privately owned and that some “traditional” seed varieties are not covered and cannot be sold. One organisation trying to preserve seed varieties in the UK is the Heritage Seed Library at Garden Organics in Ryton, Coventry and the work of the library, which encourages people to grow and swap unusual varieties of vegetables, is discussed in the programme. There are now a range of programmes across the world which seek to preserve seed varieties threatened with extinction and some of these programmes research the quality of wheat and barley seeds before giving them to farmers to grow. I found this a fascinating programme, so give it a go. 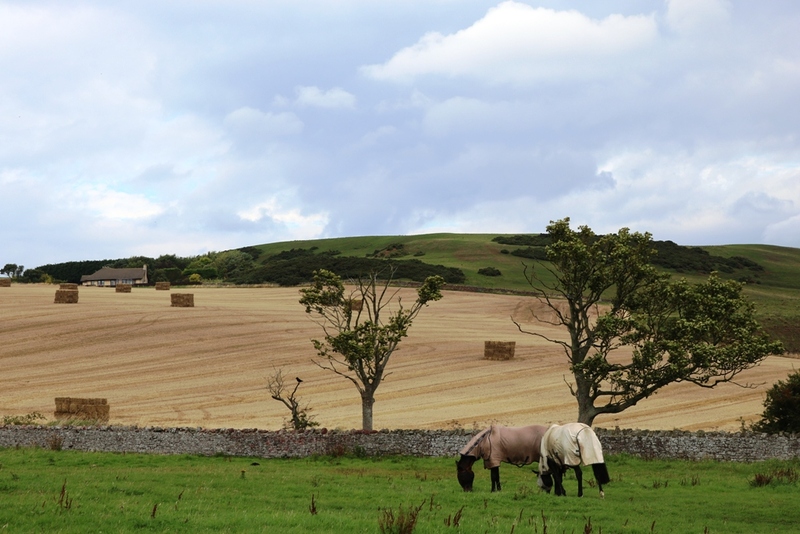 This issue of the Food Programme coincides with harvest time here in East Lothian and it is a real pleasure to cycle around the countryside past fields where the farmers have left bales to stand and be admired. I think that it should be compulsory for farmers to do this, as an aesthetic contribution to the countryside, rather than removing the bales immediately. 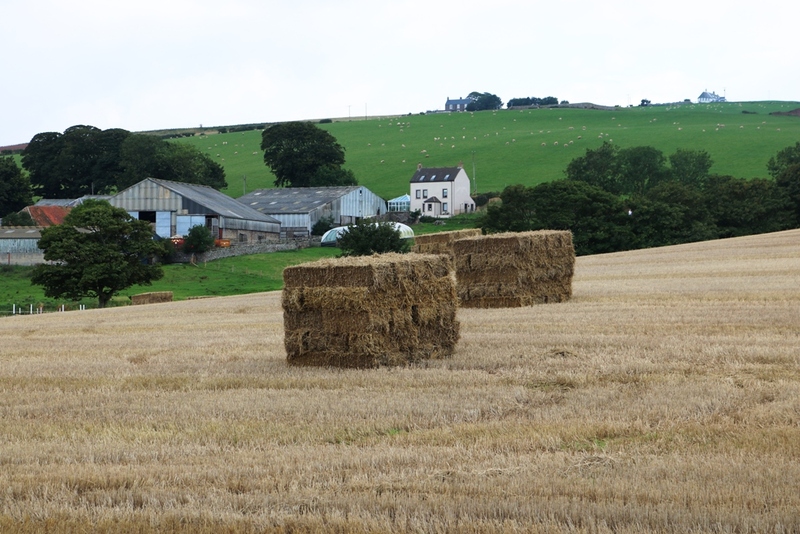 This year, I have noticed more square bales, such as these taken at St Abbs head recently. Finally, a photo of round bales first featured here in 2014. This was a field of barley from which beer is made and in Dunbar we have our own Belhaven Brewery, the oldest in Scotland. This entry was posted on September 10, 2018 at 4:43 am and is filed under countryside, culture, Cycling, Dunbar, farming, Food, history, literature, nature, New books, novels, Reading, Trees, vegetables. You can follow any responses to this entry through the RSS 2.0 feed. You can leave a response, or trackback from your own site.